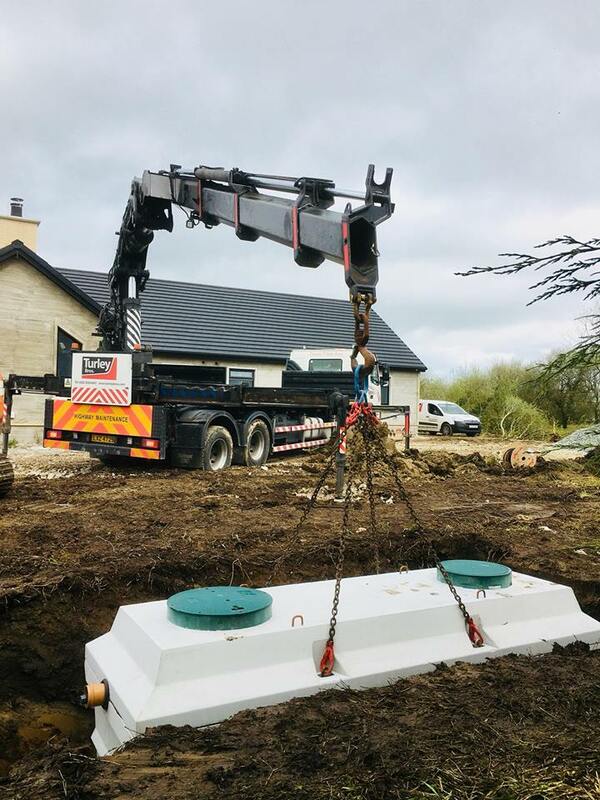 One of our Wastewater treatment tanks were recently installed in a new build in Co.Dublin. The client needed a tank a pumping chamber and 200m2 percolation area. 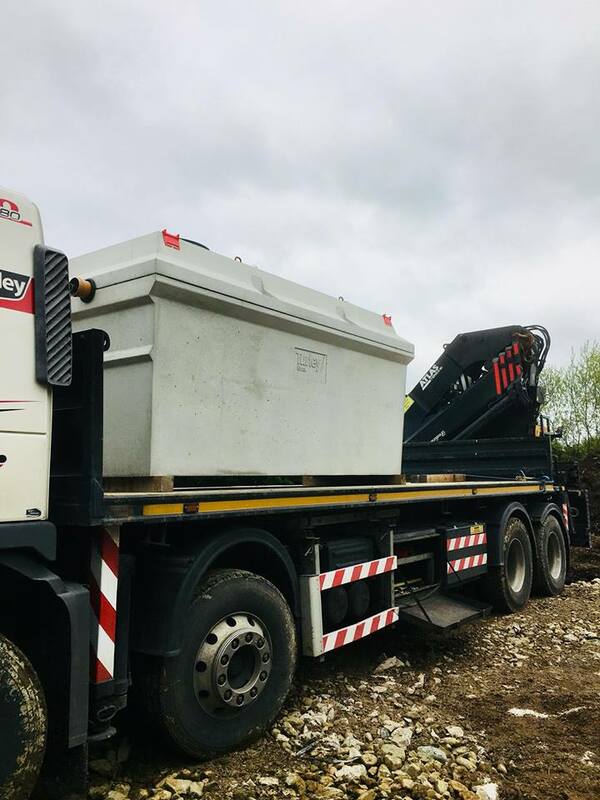 Our lorry was able to get within 7 metres of the hole so we were able to set the tank in without any hassle. Our fitters then arrived and assembled the pipework for the percolation area and commissioned them system. The total time from start to finish was a day and a half. 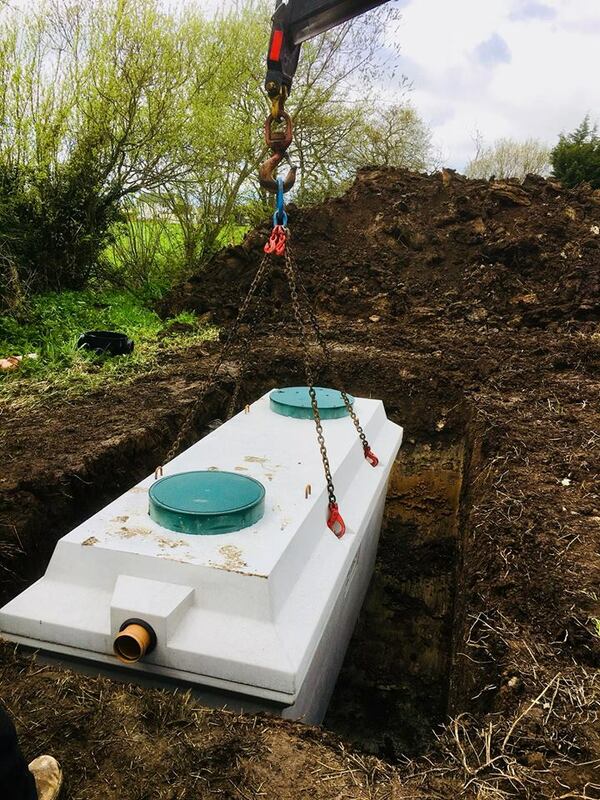 We supply and fit wastewater treatment tanks throughout Ireland.As I said on various project pages we dont use a third party to assemble the percolation areas. This means you have the peace of mind that you have just one company completing your entire wastewater treatment project. 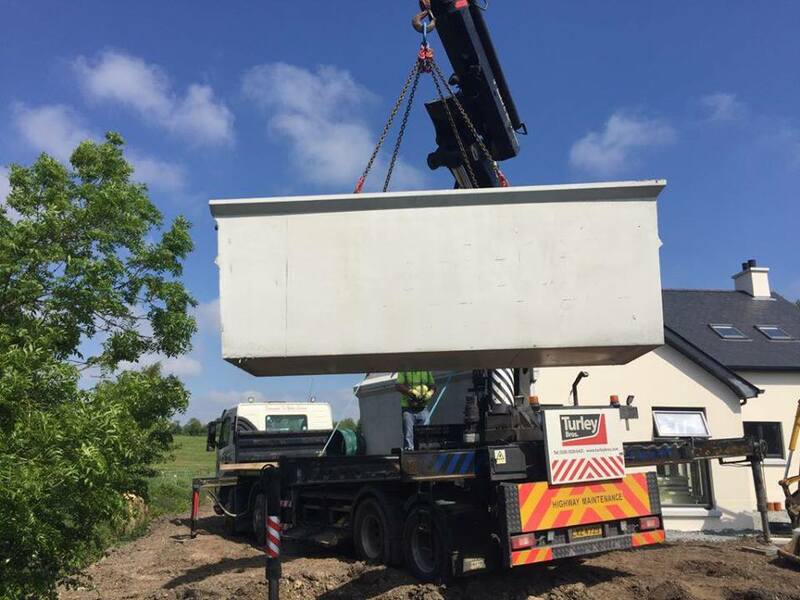 We are based in Newry so we are ideally situated to deliver tanks anywhere throughout Ireland. If you are building a house please feel free to contact us at anytime and we will come back to you with a free no obligation quotation.